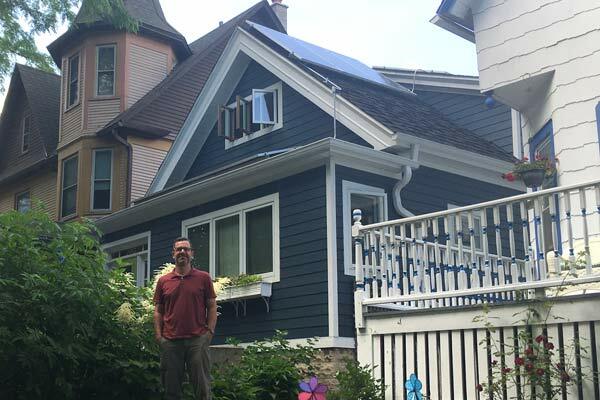 MILWAUKEE, WI – November 1, 2016 – 52 home and business owners in the Milwaukee area have helped the Milwaukee Shines and Solar Shorewood solar group buy programs reach 174 kW of installed solar, the largest total for a solar group buy program in Wisconsin to date. a record for programs of this type in Wisconsin. The programs, which were a partnership between the City of Milwaukee’s Environmental Collaboration Office (ECO), Village of Shorewood and the Midwest Renewable Energy Association (MREA), also worked with local partners to help spread the word about the program, including; Colectivo Coffee, 91.7 WMSE, Milwaukee Public Libraries, Kickapoo Coffee Roasters, Sherman Perk Cafe, Urban Ecology Center, Alverno, Riverwest Public House, Camp Bar, Three Lions Pub and the Shorewood Village Center.